In a world where it’s possible to wash down popcorn with beer at the local multiplex or sip chardonnay while soaking skivvies at the neighborhood laundromat, why wouldn’t you want an adult beverage as you shop for grass-fed beef and artisanal quinoa? That, more or less, is the argument Whole Foods made to the Sudbury Board of Selectmen earlier in March, as the upscale supermarket chain sought permission to serve beer and wine to customers while they shop in the company’s Boston Post Road store. 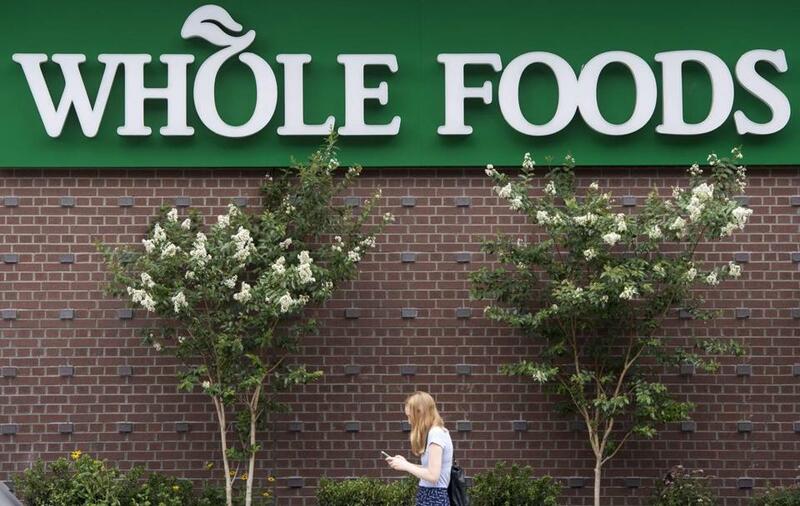 Michael E. Scott, a Boston attorney representing Whole Foods, said the option of imbibing while picking groceries or supping at the prepared food bar is an appealing amenity that the chain offers in numerous stores elsewhere in the country. “Here in Massachusetts, it’s not that common, but it’s starting to be more common,,” Scott said, according to a video recording of the meeting. He cited Eataly, the Italian marketplace and food court at the Prudential Center in Boston, as an establishment that sells beer and wine and allows customers to drink them while seated in a dining area or even while walking the aisles. “It just adds a nice feature to being able to go to the store, and the store tends to be a gathering place, in any event,” Scott said. But Sudbury selectmen raised concerns about public safety and the example it would set for kids. Members of the Board of Selectmen did not immediately respond to a request for comment on Friday. Even if the chain could clear its first hurdle with Sudbury’s selectmen, the town would need a home-rule petition approved by the state Legislature, which could take months, to issue a pouring license to Whole Foods. Selectwoman Janie W. Dretler wondered whether other supermarkets would want a pouring license, too, and she questioned the comparison to Eataly, which is more of a specialty food store with restaurants than a general supermarket. “I think it’s an interesting concept. . . [but] I would like to see more of a restaurant feel inside the supermarket,” Dretler said. Jim Hughes, a Whole Foods representative, told the board that the company doesn’t envision shoppers downing multiple drinks while visiting the store. Whole Foods doesn’t sell bottled alcohol at the Sudbury store, and the chain has already reached its state-imposed limit of licenses for packaged alcohol sales. If it gets the Sudbury pouring license, Whole Foods officials said they plan to have bartenders serve beer and wine from the store’s coffee bar during designated hours. Selectman Daniel E. Carty expressed measured enthusiasm for the proposal.